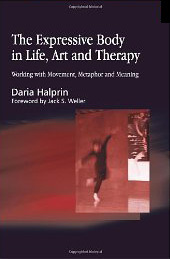 Drawing on her extensive experience in expressive arts therapy, Daria Halprin presents a unique approach to healing through movement and art. Interweaving artistic and psychological processes. In this book she offers a philosophy and methodology that invite the reader to consider the transformational capacity of the arts. In this essential resource for anyone interested in the integration of psychotherapy and the arts, Halprin also presents case studies and a selection of exercises that she has evolved and practiced at the Tamalpa Institute for over twenty-five years. Moving Towards Life brings together for the first time Anna’s essays, interviews, manifestos, and teaching materials, along with over 100 illustrations, providing a rich account of the work that radicalized an entire generation of performers. 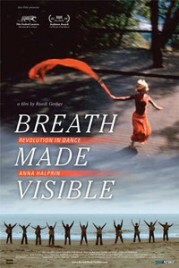 Anna offers the wisdom of her life experience as a dancer, teacher, and facilitator for healing. She tells her own story as a cancer survivor and the stories of many others with deep compassion and clarity, from her own uplifting perspective. This book serves as a guide to understanding the emotional processes of a health crisis, as well as giving clear guidlines in the form of 10 different lessons plans for how to work with these insights. 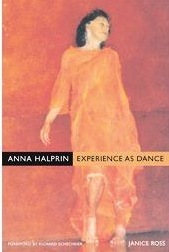 An extensive guide to Anna Halprin’s work written by certified practitioners. The work includes an overview of Halprin’s life and the evolution of her work as well as an investigation of her methodology including the Life/Art Process, RSVP Cycles for collective creativity, and the five stages of healing. Worth and Poynor also analyze Anna’s community performance rituals Circle the Earth and The Planetary Dance and her approach to work through movement explorations and scores. This first comprehensive biography examines Halprin’s fascinating life in the context of American culture-in particular, popular culture and the West Coast as a center of artistic experimentation from the Beats through the hippies. 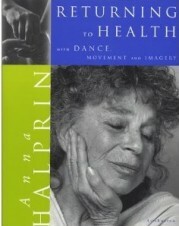 As she follows Halprin’s development from youth into old age, Ross describes in engrossing detail the artist’s roles as dancer, choreographer, performance theorist, community leader, cancer survivor, healer, wife, mother, grandmother and great grandmother. 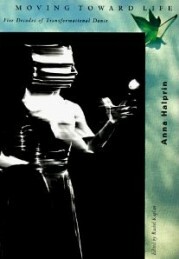 For Anna Halprin products please contact her office www.annahalprin.org You will also find them stocked on Amazon & in Waterstones. 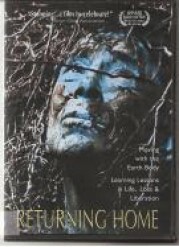 Returning Home is a breathtaking and groundbreaking dance documentary in which 80-something Anna Halprin, pioneer of postmodern dance, uses movement as a means of connecting the individual to nature, and art to real life. In collaboration with performance artist Eeo Stubblefield, Halprin moves along thresholds of earth, wind, water and fire, discovering lessons in loss and liberation.